A MUST READ TO THE END! In October of 2001, my sister started getting very sick She had stomach spasms and she was having a hard time getting around. Walking was a major chore. It took everything she had just to get out of bed; she was in so much pain. 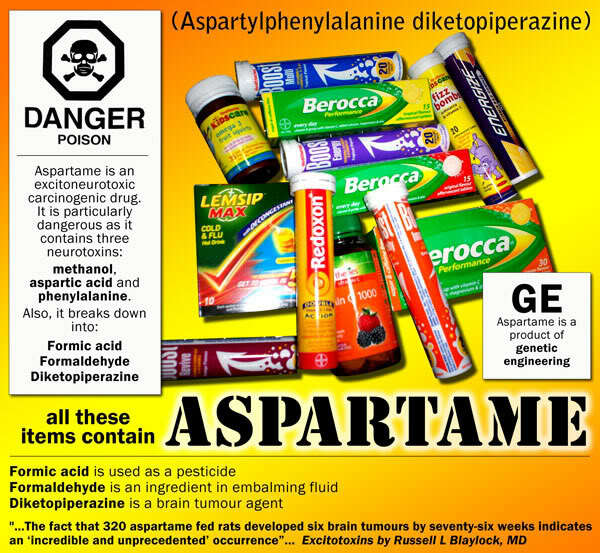 The victim usually does not know that the Aspartame is the culprit. He or she continues its use; irritating the lupus to such a degree that it may become a life-threatening condition... We have seen patients with systemic lupus become asymptotic, once taken off diet sodas. In cases of those diagnosed with Multiple Sclerosis, most of the symptoms disappear. We've seen many cases where vision loss re- turned and hearing loss improved markedly. Diet soda is NOTa diet product! It is a chemically altered, multiple SODIUM (salt) and ASPARTAME containing product that actually makes you crave carbohydrates. 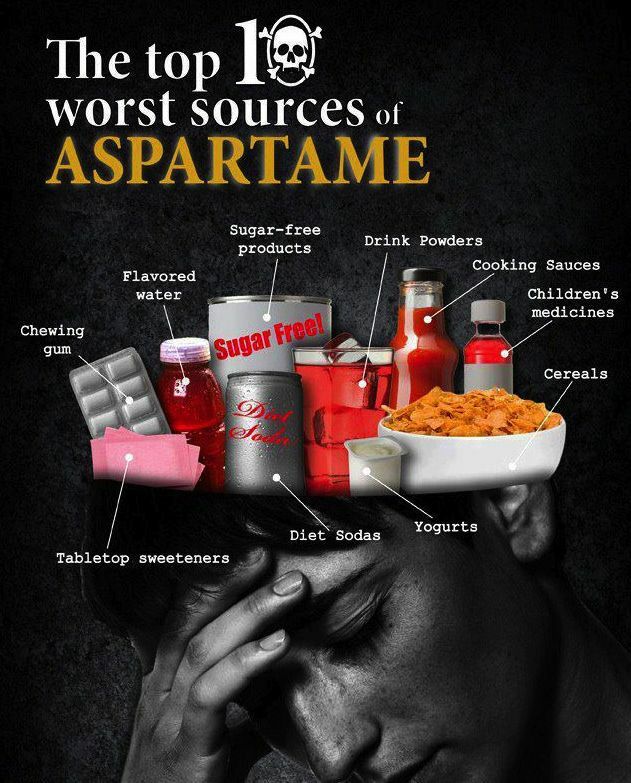 Consumption of Aspartame causes these same symptoms in non-diabetics as well. Documentation and observation also reveal that thousands of children diagnosed with ADD and ADHD have had complete turnarounds in their behaviour when these chemicals have been removed from their diet. So called 'behaviour modification prescription drugs' (Ritalin and others) are no longer needed. Truth be told, they were never NEEDED in the first place! It is also suspected that the Aspartame in thousands of pallets ofdiet Coke and diet Pepsi consumed by men and women fighting in the Gulf War, may be partially to blame for the well-known Gulf War Syndrome. Herein lies the problem: There were Congressional Hearings when Aspartame was included in 100 different products and strong ob-jection was made concerning its use. Since this initial hearing, there have been two subsequent hearings, and still nothing has been done. The drug and chemical lobbies have very deep pockets. The bill would also institute independent studies on the known dangers and the problems existing in the general population regarding seizures, changes in brain chemistry, neurological changes and behavioural symptoms.